Set of 2 sachets well filled with lovely-smelling dried French lavender (with no added chemicals). These sachets were made from a vintage tablecloth, and feature embroidery of baskets of fruits and vegetables. Each sachet measures about 4" square and contains a half cup of lavender. 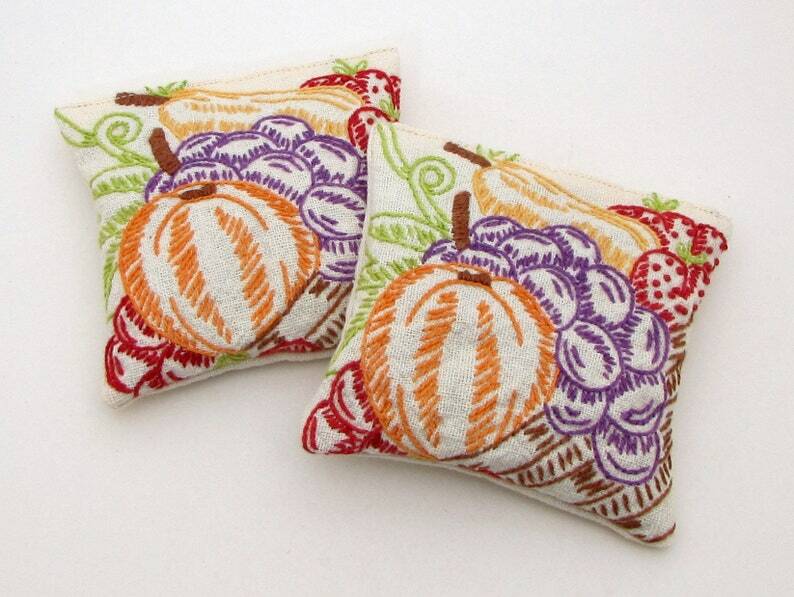 These would make a lovely hostess gift! You will receive two sachets like the ones pictured here. They will come individually packaged in cellophane bags.